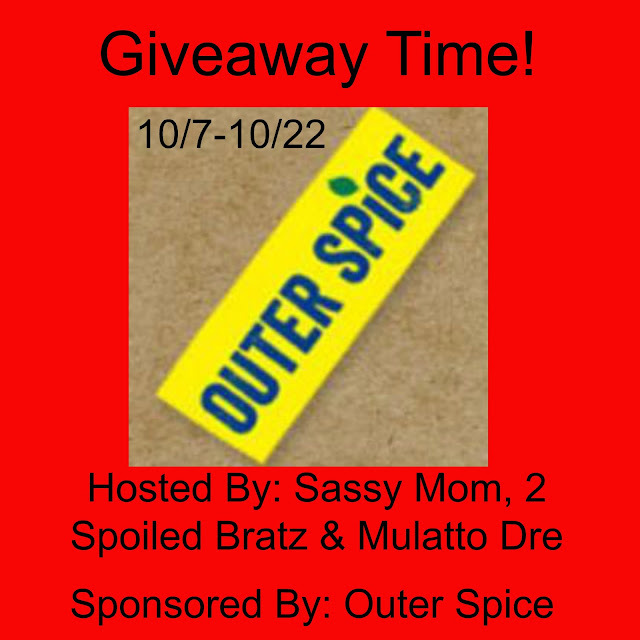 Sassy Mom, 2 Spoiled Bratz, Mulatto Dre & Outer Spice teamed up to bring you a giveaway for their Spice Blends! The bloggers promoting and hosting this giveaway is not responsible for prize fulfillment. Outer Spice will be in charge of that. I would use Outer Spices when making my roasted chicken or grilling hamburgers! I will use Outer Spice on my ribs and burgers when I am grilling,. My husband is the chef in the family, so it would be a surprise. I'm terrible at using spices so this would be great! I'd make a roast with the spices. I'd try it out on some grilled chicken first!